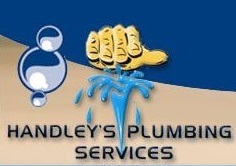 Handley’s Plumbing is a small family business. Once you deal with us, you will probably use our service again whether in the next 6 months or perhaps in 5 years. We rely on our customers to recommend us. We will only perform quality workmanship. We will be at your service as promised and within the time frame requested. We will always call before arriving and give you notice of when you should meet us at the location specified by you. We will only start work once you have agreed on the price quoted.